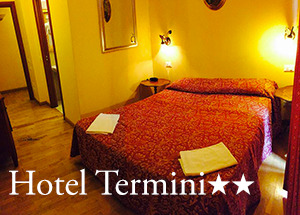 Hotel Cherubini is a comfortable 2 star hotel in the center of Rome, near the Termini Station. A short walking distance from Termini train station, the Hotel Cherubini’s staff is happy to offer the typical high quality service and comfort of a family run hotel. Rooms recently renovated, finished with style, offering private facilities, TV, telephone, air conditioning, safe, soundproof glass and free internet Wi-Fi. The familiar management facilitates the establishment of a sincere relationship with the guest, who will then find a comfortable, clean and safe accommodation in the hotel. 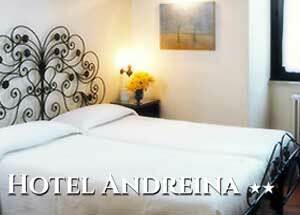 Its excellent location, in the centre of Rome, makes travel fast and pleasant. The 24 hours taxi service offers a fast connection to all major airports in the city. The staff, always kind and cordial, is ready to provide any kind of tourist and cultural information about the city. Reservations taxi to / from airport ciampino and fiumicino!